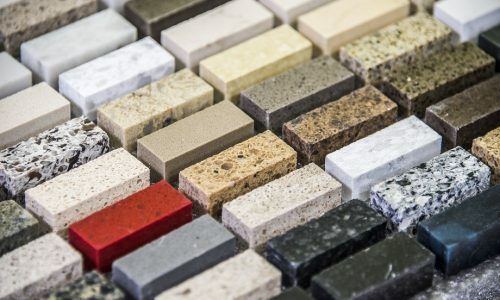 In modern interior design solutions, the preference for retro style and old fashioned luxury and beauty is seamlessly combined with the durability, ease of maintenance and convenience of modern features such as granite worktops. Increasingly more home owners are choosing the combination and are delighted with the results. Modern comfort of granite worktops and innovatively furnished bathrooms creates shiny dapples in old style homes. A businesswoman, Freda Newton, was fond of Victorian style in houses. When she bought a plot near Inverness in Scotland, she decided to mix contemporary features with old style and create a house with a difference. She used traditional Scottish materials. The original house on the plot had a traditional design and featured a turret. Burt with the 80 acres of space on the outskirts of Inverness, Freda felt she just must have something new built. Of course, sweeping vistas were the prerequisite for the location. The proximity of the Loch Ness adjacent hills and those adjacent to the Black Isle on the north offered picturesque settings. Freda turned to a Perthshire based practice in architecture which combined old and new. The materials used were both of Scottish origin and sleek innovative ones. Caithness slate, larch wood, wet harl were employed together with granite for granite worktops. There is an emphasis on space with a double height vestibule leading into a spacious dining hall with an expansive floor to ceiling window affording panoramic views of the landscape. Then there is the kitchen, again with full height glazing, to enable the inhabitants and guests to soak in stunning views. There are five bedroom suites, and the master bedroom is equipped with en suite dressing rooms and bathroom. Much can be said to describe all the features in this unusually appealing home. Let us dwell on the modern additions which lend comfort and convenience in a modern way. Together with wood burning stoves, Freda’s house which bears the name Essich Lodge has underfloor heating on the ground level supplied by a geothermal heat pump. The adequate insulation guarantees energy efficiency. Freda was tempted to go entirely modern with the kitchen, having experienced the convenience and beauty that granite worktops and other modern staples have. Then she decided to keep the granite worktops idea and choose a walnut wood solution. Sparkling granite worktops are a must for a kitchen, but the walnut lends a softer overall ambience. Freda’s granite worktops are black, and there are Mandarin stone slate floor tiles. She had always had an Aga stove, so she added one in her kitchen too, and a gas hob provided convenience for cooking when the Aga was off. The bathroom was furnished in soft hues. The drawing room was painted in rich blue, Freda’s favourite colour. A wall mounted stove spreads the charm of old style comfort. As Freda shares, the house is the epitome of all the staples and embellishments that she has longed to have in a house, featuring charm and elegance, old and new, in unison.